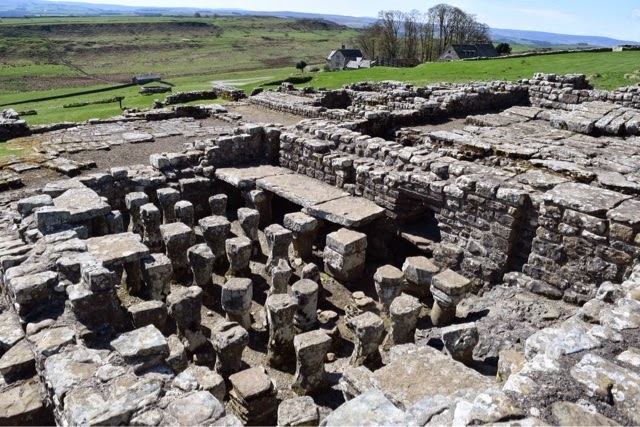 Due to its remote location, Housesteads, originally called Vercovicium, is the most well-preserved Roman Fort on Hadrian's Wall. 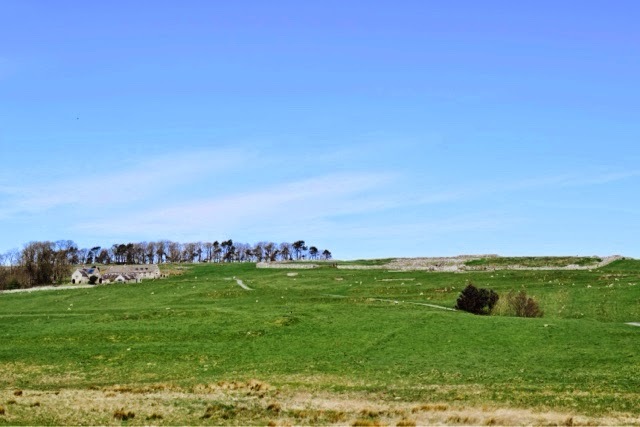 It sits high on a hill on a break in the Whin Sill ridge near the very center of the wall (Castle Black, anyone?). 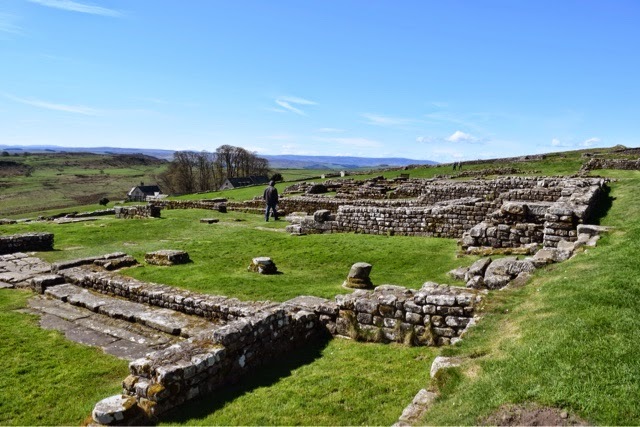 Like all other Roman forts, this one was based on a standard design used throughout the Roman empire and included a barracks, granary, hospital, the commander's house, and the fort headquarters. 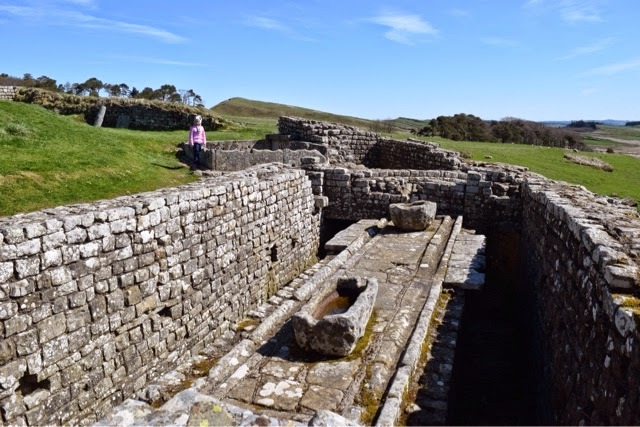 This particular fort has the best preserved Roman latrines in all of Britain that still "flush" as designed. 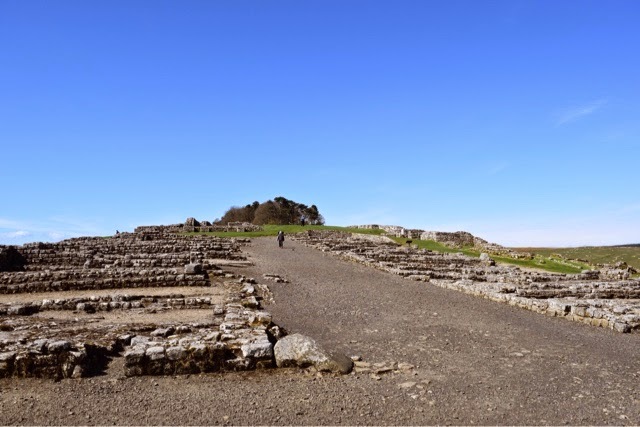 While all Roman forts had a decidedly Mediterranean style with central courtyards open to the sky, they made accommodations for the cool climate by designing radiant heating in the floors. Amazing! 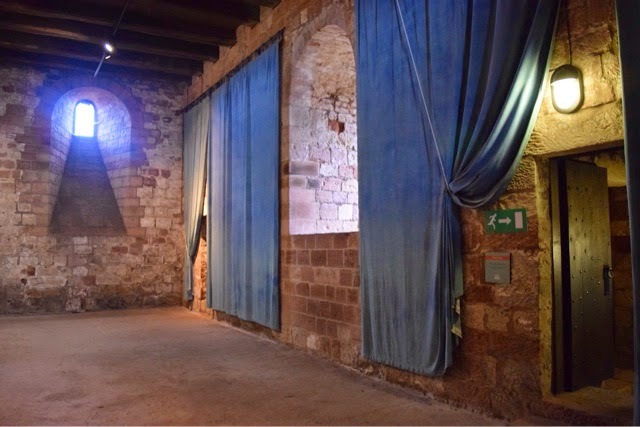 By the way, the 6-minute video housed in the small museum adjacent to the site is a must. 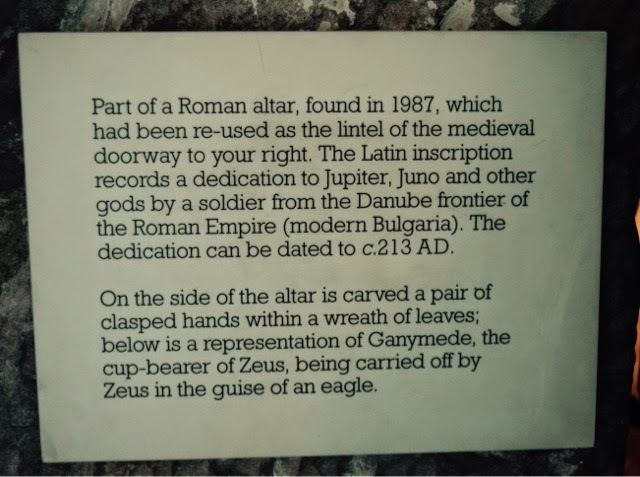 It does a great job of succinctly describing how the fort was used and what it would have looked like when it was occupied by 800 Roman soldiers during it's heyday. 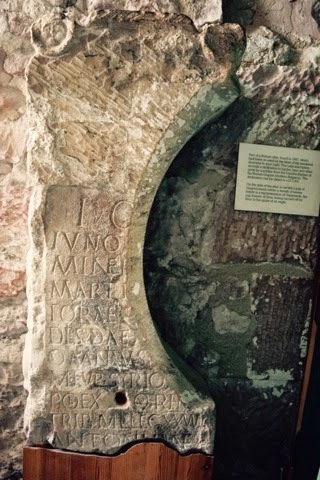 Showing the design of radiant heated Roman floors. 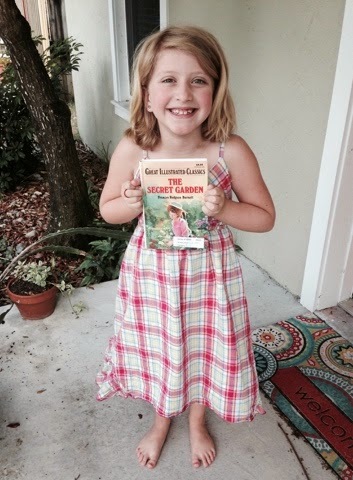 I bought my 6 year old "The Secret Garden" at a used-curriculum sale yesterday morning. She has already finished it! It's amazing how quickly her love of reading has advanced in 14 months. 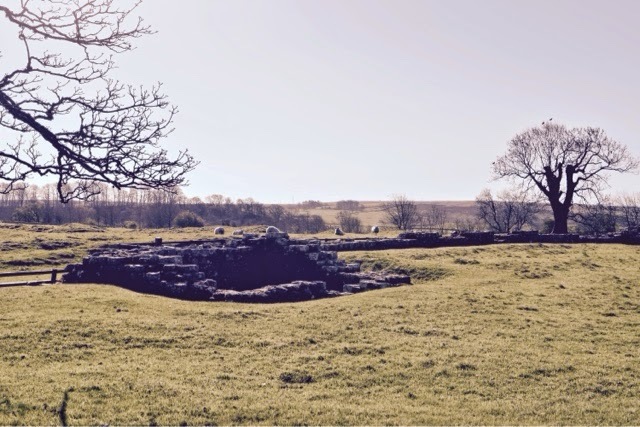 An exploration of Hadrian's Wall could easily take several days even by car. It stretches more than 70 miles from one coast of Britain to the other - from Bowness-on-Solway to Wallsend near Newcastle-upon-Tyne. 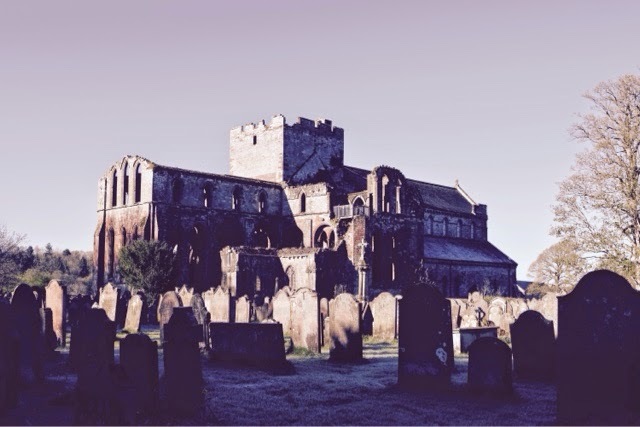 Construction took 15 years and began about 122AD under the direction of the Roman Emperor Hadrian. 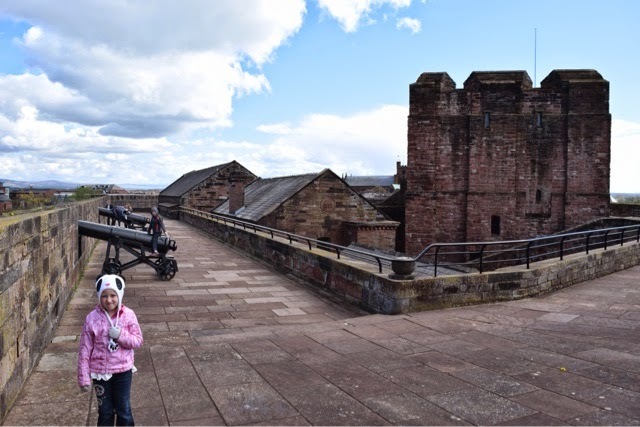 It averaged 18 feet in height and 9 feet thick, included 17 forts as well as smaller fortifications every mile called "milecastles," and signal turrets between each of these. 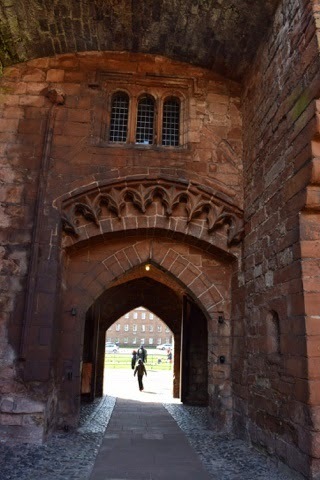 Can you imagine the amount of manpower and stone required?! The official count is 18,000 soldiers and 4 million tons of stone. The cost of building such a thing in the modern age would likely be astronomical. 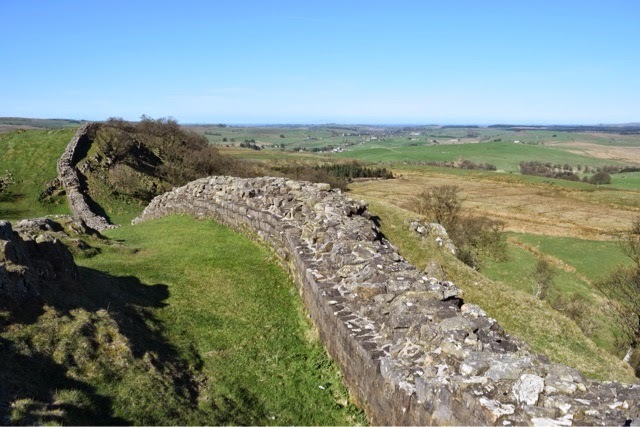 A definitive reason for the wall's construction is argued by historians, but some believe that Hadrian, having taken a tour of the empire, came to the very rational decision that continued expansion would further weaken the empire and that it would be better to fortify current borders rather than expand. 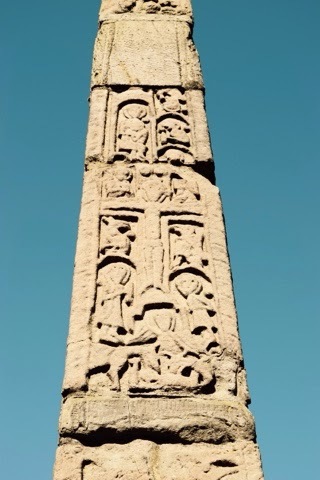 There is archaeological evidence suggesting that some of the Northern Pictish tribes of Alba had experienced some success in attacking Roman forts north of the Solway-Tyne border at a time when Rome was experiencing rebellion and assault in other far flung corners of the empire. 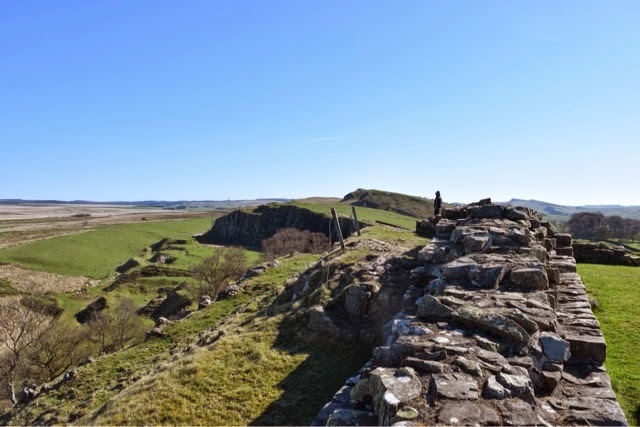 So, while at other times and under other rulers attempts were made by Rome to conquer the entire British Isle, Hadrian may have determined that the cost of doing so would outweigh the benefit. And so he built a wall. 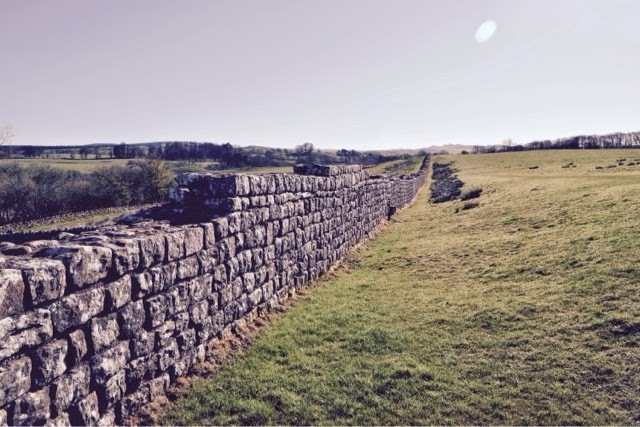 Today, what remains of the wall is designated a UNESCO World Heritage Site. Several of the forts have been unearthed by archaeologists and onsite visitor centers and museums help guide visitors in understanding the history of the extensive ruins laid out before them. 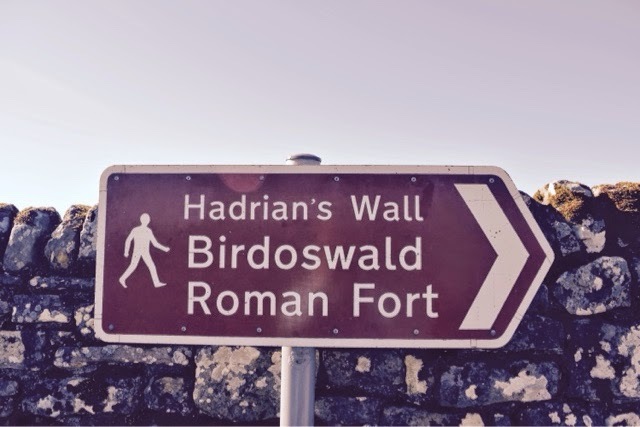 We took the better part of a day to visit just a few of these: Birdoswald Fort, Housesteads, Chesters, and Corbridge. If you'd rather follow the wall on foot you can do that as well. 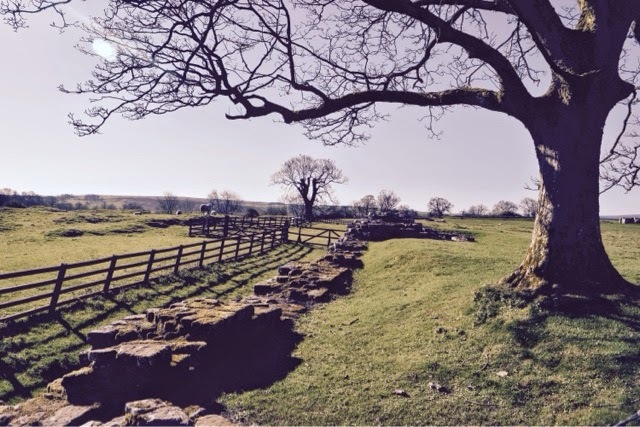 There is a path or trail that runs the length of the wall and is called Hadrian's Wall Path. This is one trail I would one day like to hike from beginning to end as the scenery of this entire region is spectacular. 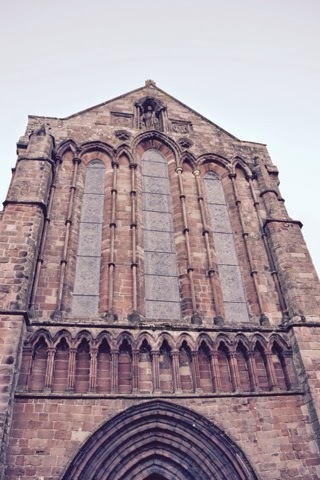 One interesting aspect of traveling around Great Britain is all the places we encountered that are reminiscent of supposed fictional places described in some of the popular books that we've read, in particular Tolkein's The Lord of the Rings series and George R. R. Martin's Song of Ice and Fire series. The landscape of this entire area could easily be that of Rohan in Lord of the Rings which makes complete sense considering this entire area is in the Scottish Marches. 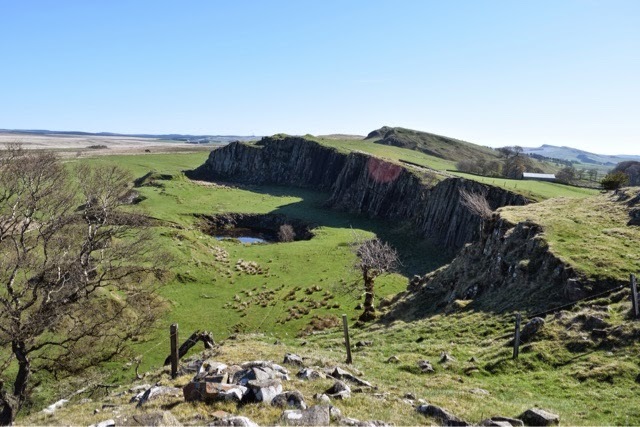 As we stopped at sites along Hadrian's Wall, there were places where we could most definitely imagine this wall as the inspiration for "The Wall" in the Game of Thrones especially where it sits atop a steep, natural escarpment knows as The Whin Sill. 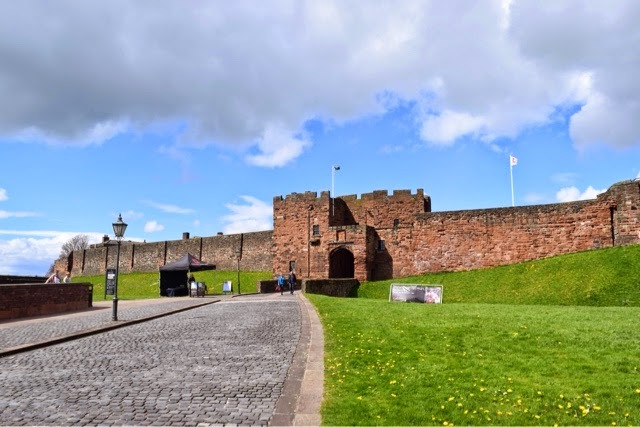 It is easy to understand why this is Great Britain's most popular tourist attraction and how this area has inspired many an author..
Carlisle Castle has been continuously occupied since 1092 when first established by William II as the primary stronghold on England's NW border with Scotland. 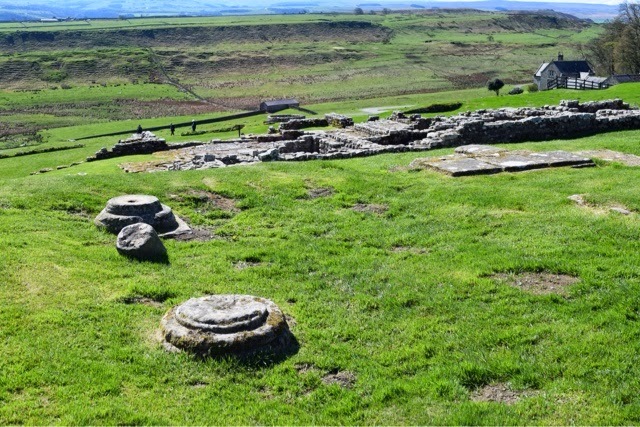 The site was previously a Roman turf and timber fort that garrisoned Hadrian's Wall and acted as a base for invasions into Scotland. 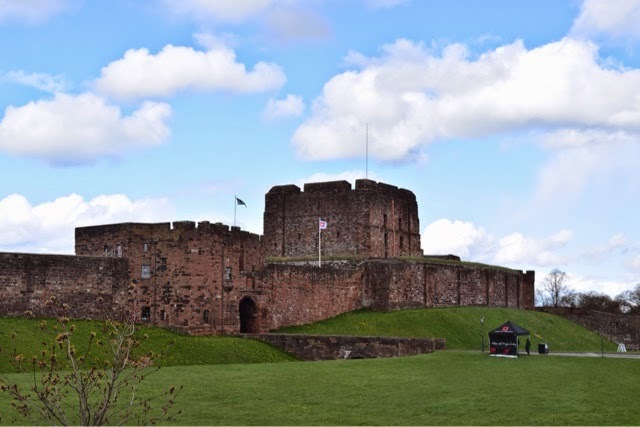 Being on the border, Carlisle castle has a long sordid history making it the most besieged castle in Great Britain. 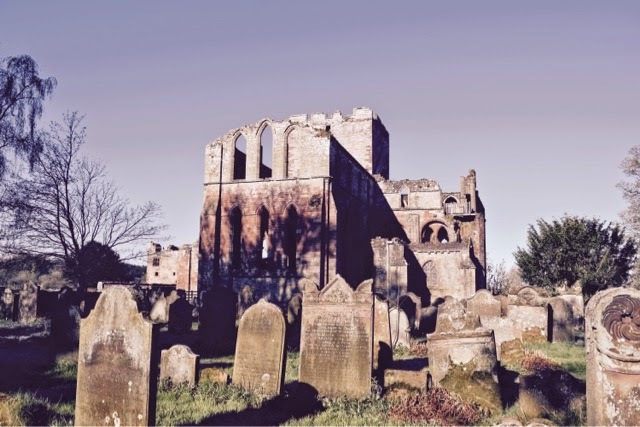 It has been held by both English and Scottish kings and was the seat of the Warden of the West March during the 15th and 16th centuries in an effort to deal with Border Reivers. 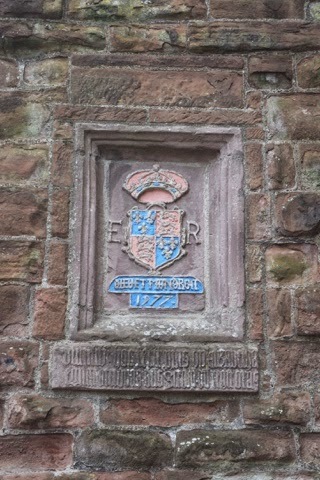 During the second Jacobite uprising of 1745-6, it was briefly held by Jacobites, and as recently as the 1970's the British Border Regiment was based here. My little one was still feeling the effects of her tummy bug on our visit here, but we still managed to get a smile out of her. 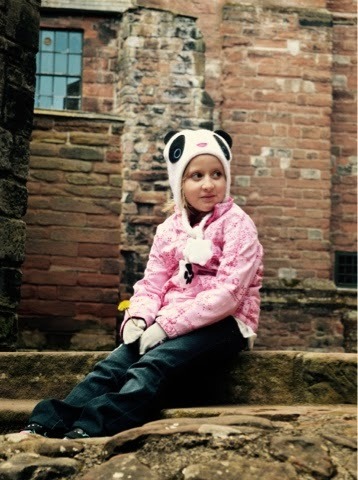 Here she is sitting on the foundation of the tower in which Mary Queen of Scots was held before being sent to London. 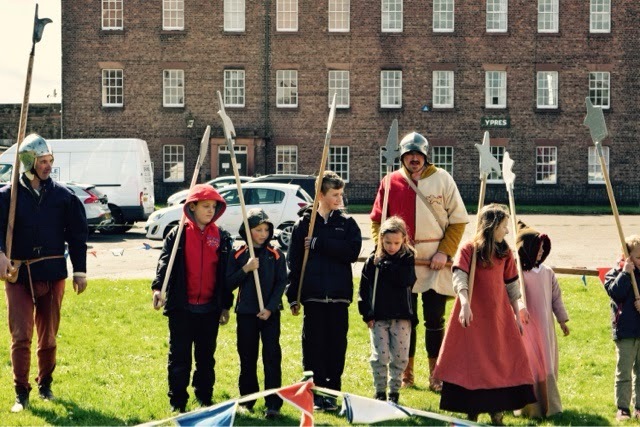 My 8 year old son was able to participate in some of the St. George Day activities. Here (video link) he is learning how to be an infantryman for the local lord. 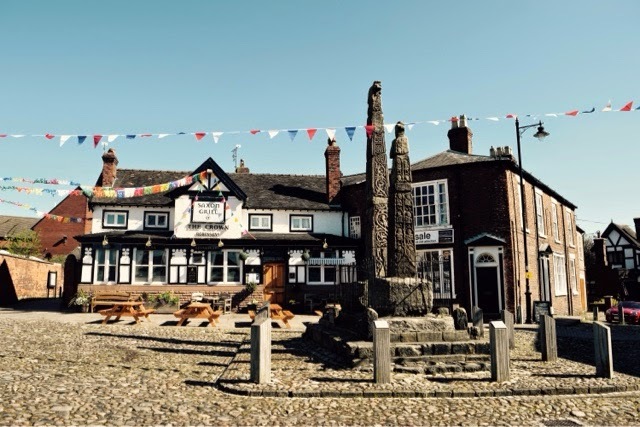 These Saxon Era crosses are located in Sandbach about midway between Birmingham and Liverpool just off the M6. (For us Americans, the M stands for motorway.) 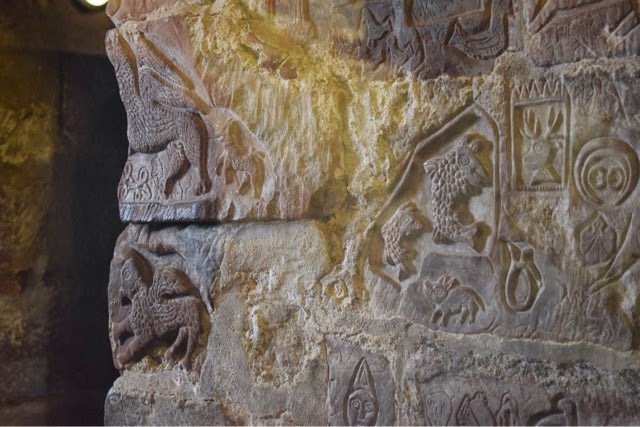 They are rare representatives from a time that is not well documented dating back to the 9th century and were possibly associated with the land of Mercia. (Fans of the show Vikings may recognize this kingdom name.) 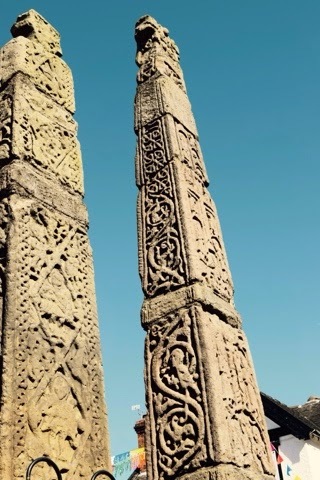 The very top of the crosses are missing, but the detailed Celtic and Christian images are well preserved. 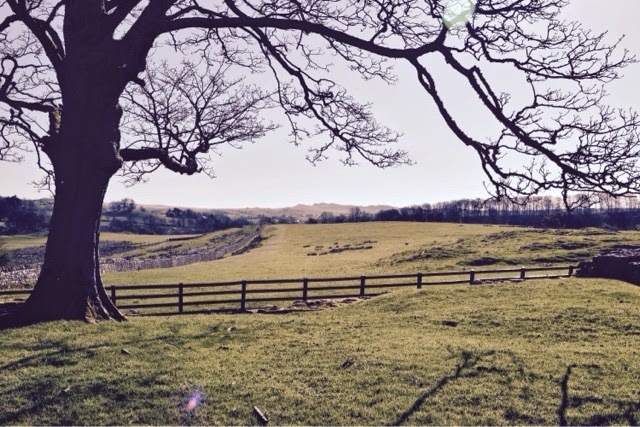 After our day visiting Avebury, Stonehenge, and Old Sarum, we headed north. With no definitive itinerary in mind, we decided to go into Oxford. 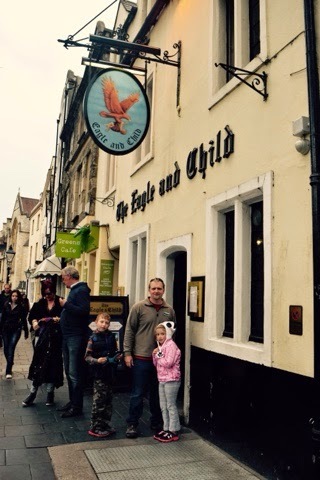 We thought we could have dinner at the pub that J. R. R. Tolkien frequented called The Eagle and Child. A convenient parking space was available on the street, but the pay station only took cash which we didn't have. The kids and I sat in the car while Kelly asked about an ATM in the pub where he was directed to a another pub across the street. Cash in hand, he had to find a store to make change for the pay station - it only took exact change no less. Finally, we were ready to go to The Eagle and Child. When we got inside, we were told that kids aren't allowed after 7pm. It was only 6:30, but apparently that wasn't enough time for us to get food and get out. Regardless, we weren't welcome. I had heard that pubs in Great Britian were very family friendly, but perhaps not in college towns like Oxford. Our attempts to find lodging nearby went similarly. It seems that the affordable options get fully booked every weekend here. So, we ended up driving another 90 minutes to Birmingham where we were able to find accomodations without issue. So ended our first full day of sightseeing in Great Britian.